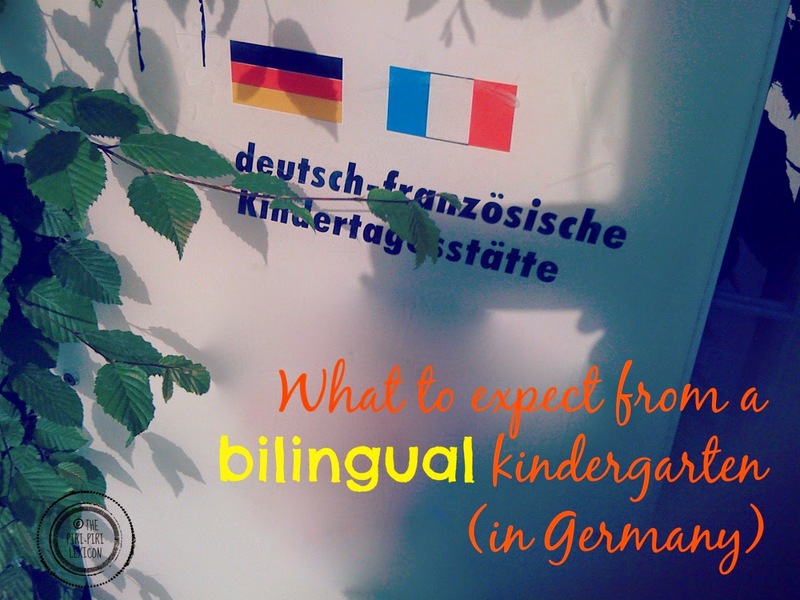 For almost 4 months now, LJ has been attending a German bilingual kindergarten. In Germany, children normally go to kindergarten (Kita) from 3 years old until about 6. This is the equivalent of nursery school (école maternelle). Kindergartens are not schools. For me, coming from France, kindergartens are a mixture of école maternelle (early years of school) and crèche (nursery). Children are much more free. They still spend most of their time playing even though there are organised activities. 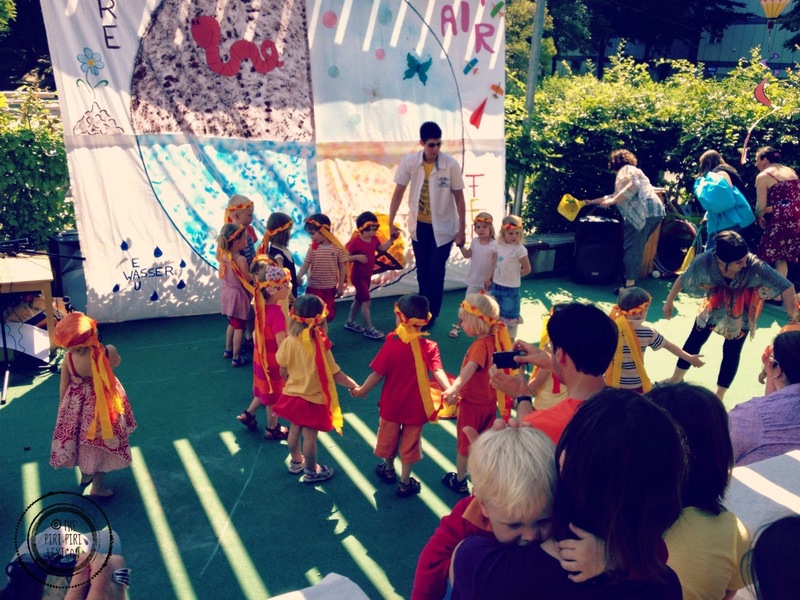 Most kindergartens also welcome younger children (some from 6 months old, but mostly from one year old) and are a very sought after daycare solution for working parents. Places are lacking in a lot of cities in the country (especially for younger children). We were very lucky to get a place shortly before LJ's third birthday and didn't want to turn it down for fear of not getting any later on! On top of it, it was a bilingual structure (French-German). As newly arrived to Germany, this is great for us, as we are able to chat to some of the staff in French. But also, LJ was clearly dominant in French and hardly spoke any German, it made the transition for her easier. I can't claim that all bilingual kindergarten work this way, but this is our own experience. Staff are half German speaking, half French speaking. Because of the proximity of France, a lot of the French staff actually live in France. The director is bilingual. All of the French-speaking staff also speak German. But not all of the German staff speak French (even though they understand a little bit of it). The staff address the children in their native language. About half of the children have a French speaking parent. Children are completely immersed in both languages. They learn songs in both languages, make crafts lead by staff in either language, etc. For the pre-school kids (4-6 year old), activities are more structured and they have twice a week an hour of more school-like activities (in both languages). Kids do tend to speak German together as most are dominant in German and do only seem to have passive knowledge of French. But the children are very linguistically aware and never raise an eyebrow at anybody addressing them in one language or another. This was extremely important for us. Yes, children are great sponges, are very resilient and will learn a language with no trouble at this age. But she also has a strong love for the OPOL (one person-one language) method, we feel. We think she finds it hard to connect with people who use more than one language and switch constantly with her. I will write more on that in a further post. We feel she struggled to connect with some of the French staff because they also do use German at times (when speaking with other staff and parents, for example). She assigns languages to people and those who constantly switch puzzle her. Maybe the fact that she is learning 4 languages is a factor here. Apart from this, At least, here staff are not puzzled by the cute bilingual kid coming in! They are used to it. She is not the odd one even if 4 languages may be a little more than usual! At registration, their forms had plenty of space in the language box and even asked detailed questions about who spoke what to whom in the family (which I loved). All in all, we are really happy with this bilingual structure. We would have never had such an opportunity when we lived in the U.K. We get to immerse her in a fourth language (German) while still maintaining one of her minority ones (French). LJ's German is soon going to overtake ours, I am sure. Found your blog through expats blog because I'm also i Karlsruhe! 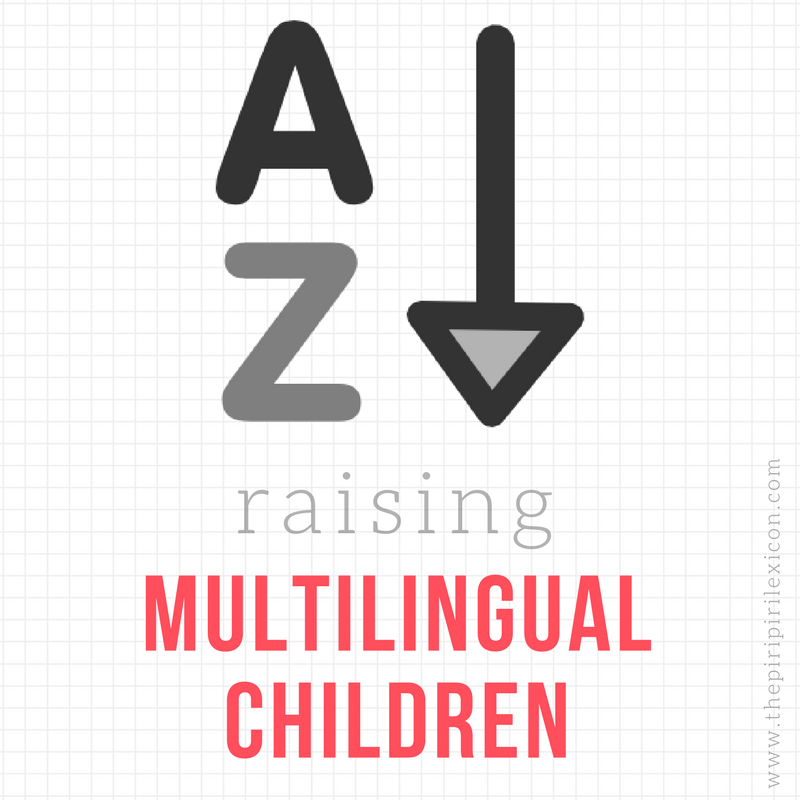 I find all the content super interesting as I worked for two families raising multilingual children. One family I au paired for all spoke German while I was the only one who spoke English to the kids, but surprisingly it was really enough and the almost 3 year old now speaks better English than I do German. The other family had a French mother and German father, but the kids spent a few years in the US, so they are trying to maintain the English with English speaking babysitters. It was very cool to witness first hand how much young minds can absorb.